Two big changes have been made at Kansas Lottery retail locations statewide. Players now hear a new sound when a Kansas Lottery retail location validates a winning ticket. In addition, players can now watch both the Kansas Hold ? ?Em and Keno drawings on the same lottery TV monitor at any Kansas Lottery retail location that has one. Previously the tune, ??We ? ?re in the Money, ? was played when a winning ticket was validated. Players now hear the sound of an old-time cash register, followed by a computer-generated male voice saying, ??You ? ?re a Winner! ? This indicates to the player that he or she has a winning ticket. Besides the new sound that players are hearing when their winning tickets are validated, players are now able to view the Kansas Hold ? ?Em game at every Kansas Lottery retail location that currently has a lottery TV monitor. Previously, a separate monitor was required for Kansas Hold ??Em. Kansas Hold ? ?Em is a virtual poker game with a new hand being dealt every four minutes. Like Kansas Hold ? ?Em, Keno is played every four minutes. The games rotate on the TV monitors, with Keno winning numbers being drawn first at 5:04 a.m. Both games are available from 5 a.m. to 2 a.m. daily. 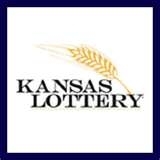 For more information on games, promotions, winning numbers, and unclaimed prizes, or to join the free Kansas Lottery Players Club, visit www.kslottery.com.